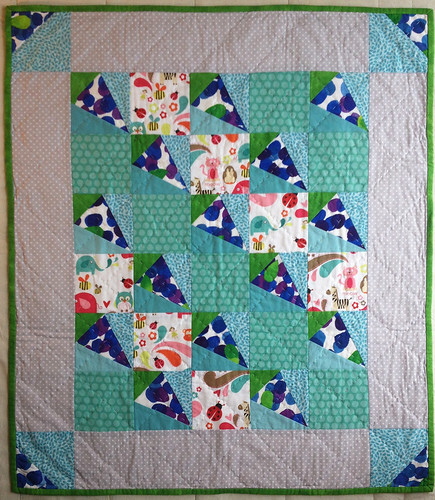 I was asked a while back if i would make a quilt on commission. 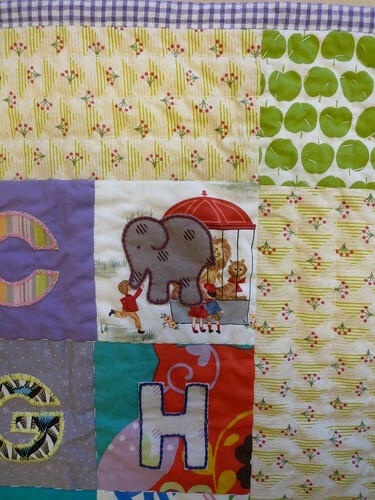 My friend Sarah had seen the ABC quilt I was involved in and asked me to make one for her, then unborn, daughter Agnes. 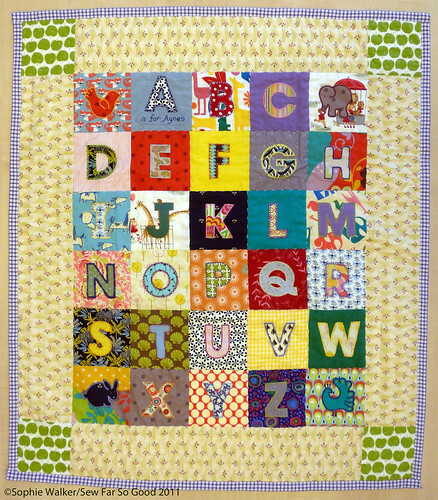 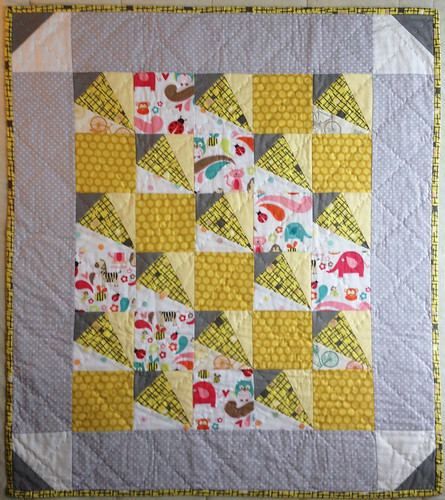 Although similar to the previous ABC quilt, this one has come out fairly differently. 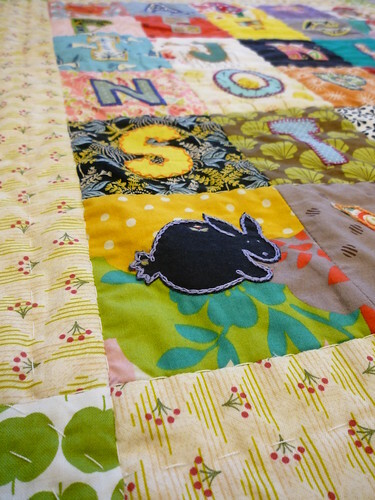 No two squares have the same fabric and, at Sarah’s request, the corners have a bird, an elephant, a rabbit and a peacock.